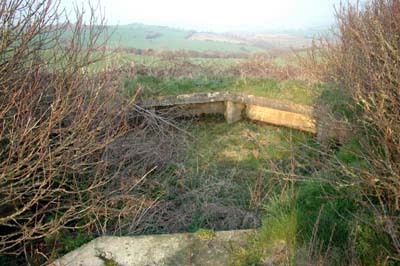 East of the Erika radiobunkers lie three Flak emplacements with a L 411A. 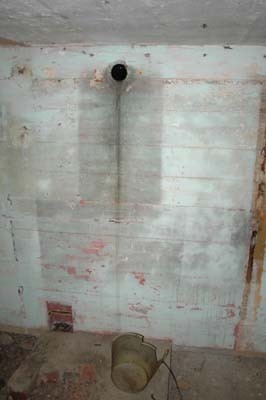 This last one has been covered and only one Flak emplacement can be entered. 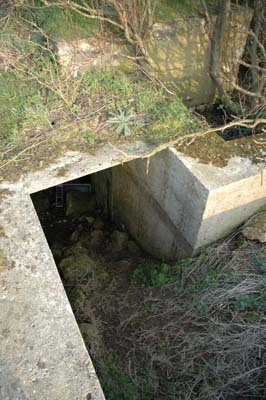 The entrance to the crew shelter beneath the emplacement. Another brick painted decoration. There is a text on the wall too, but it's too hard to read.